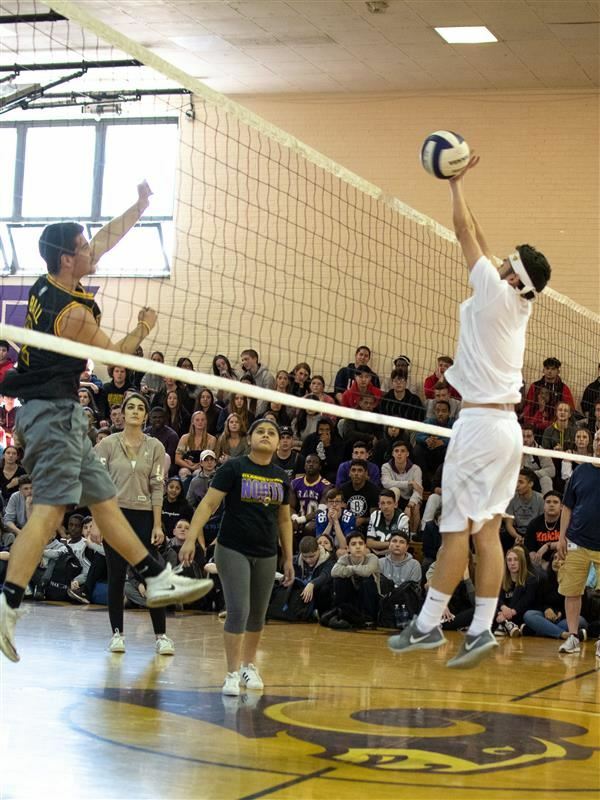 (April 2019) Clarkstown North High School Physical Education classes took part in the Championships of the Ram's Volleyball Annual Tournament. 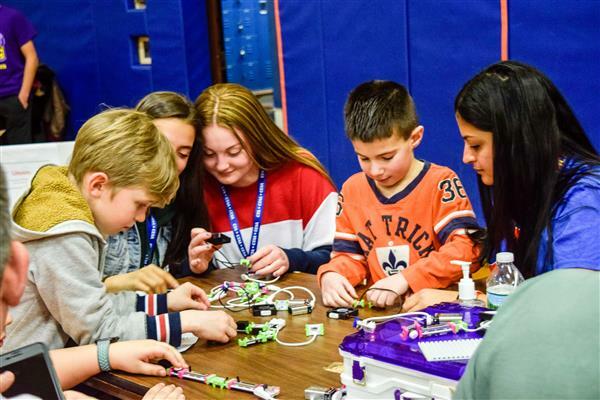 (March 2019) The 2019 Technology Showcase was the most attended and successful showcase thus far. 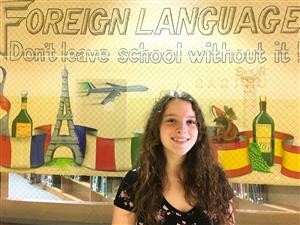 (March 2019) Congratulations to CHSN senior Hannah Armstrong and CHSS junior Emily Lema! (March 2019) Dear Parents: I am writing to inform you of a recent revision to School Trips Policy 4531 that is attached below this correspondence. (February 2019) Thank you to The CCSD Dept. 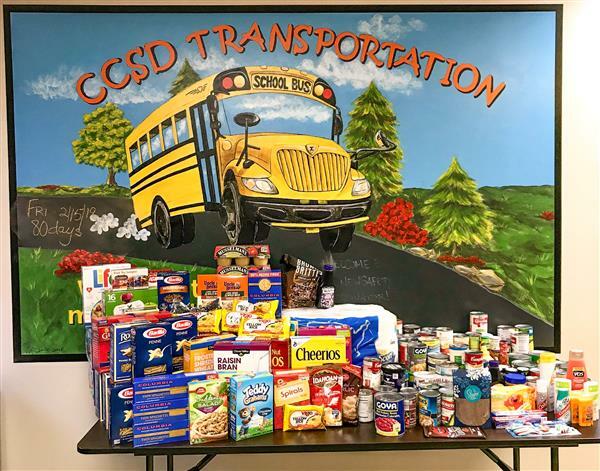 of Transportation for collecting 241 pounds or $647 worth of food donations for the food drive this month. Implementation of the Raptor Visitor Management System. (January 2019) The Clarkstown Central School District is pleased to announce the implementation of the Raptor Visitor Management System. 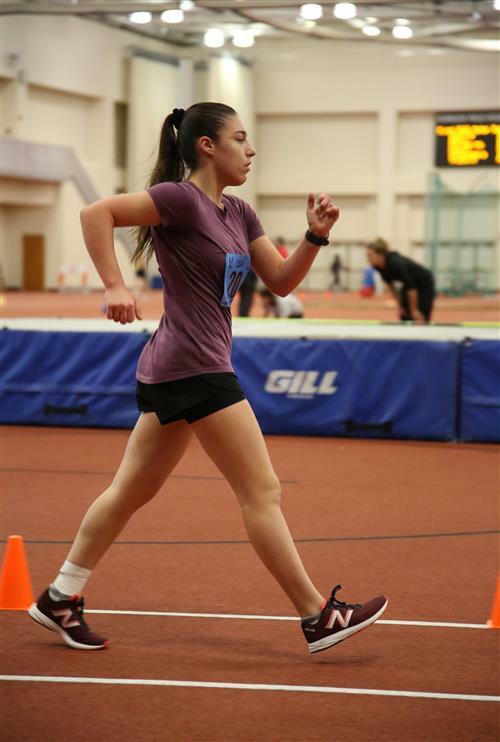 (January 2019) Clarkstown North sophomore Gillian Schonenberg competed on December 29, 2018 in the USATF 5,000m Indoor Junior Racewalking Championship at the USATF Niagara Indoor Track & Field Championships. This was a Junior National Championship, and was the first time Gillian has competed at that esteemed level and came in sixth place. (December 2018) Thank you to our CCSD Board of Education! The 2019 NYSSMA Festival will be held at South High School on May 17 and May 18. Registration runs from January 2 through February 15. I hope you and your family are enjoying the wonderful gifts that come with the Holiday Season. Come to the Gay Straight Alliance Plus meeting this Thursday after school in room 148B! LGBTQ and straight students meet together in a safe place to support each other, socialize, and help promote awareness and equal rights for all. Join the Geek Culture club when we meet again this Wednesday, April 17th, at 2:15 in room 167. Attention World Languages Honor Society Inductees: There will be a mandatory rehearsal after school on Tuesday April 16 for all inductees, performers, and speakers. Please see Ms. Poulos if you have any questions. Are you a fan of TedTalks? Audition to give your own at North’s Forethought Talks event. This year’s theme is Unrevealed Mysteries. Auditions will be on April 16th in room 601. For more information please see Mrs. Macias. EMBRACE THE POSITIVE: Focus on embracing everything positive that happens to you today, however small that thing may be. For anything negative that happens, turn it into a positive. There’s always a new way of looking at something, a way to put a positive spin on it. If your picture was in the Principals’ Showcase you may now come and and pick it up in the Mansion office. The next meeting of GEM, girls exploring math will be held on today April 11 afters chool in room 412. We will be looking at uses, and misuses, of statistics. We will be making standard normal curve ornaments. Are you a fan of TedTalks? Audition to give your own at North’s Forethought Talks event. This year’s theme is Unrevealed Mysteries. Auditions will be on April 16th in room 601. For more information please see Mrs. Macias in Room 601. 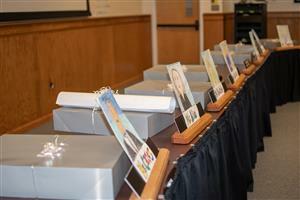 If your picture was in the Principals Showcase you may now come and and pick it up in the Mansion office. Be part of North's Day of Silence on Thurs 4/11. Support or remain silent in solidarity with lesbian, gay, bisexual, transgender & queer or questioning people who are silent out of fear of harassment. Get cards in room 146b or the main, annex or mansion offices. Process the day in room 148b at 2pm. The next meeting of GEM, girls exploring math, will be held on Thursday April 11 after school in room 412. We will be looking at uses, and misuses, of statistics. We will be making standard normal curve ornaments. Attention World Languages Honor Society Inductees: There will be a mandatory rehearsal after school on Tuesday, April 16 for all inductees, performers, and speakers. Please see Ms. Poulos if you have any questions. Attn BOCES students: On Wed, 4/10, all AM BOCES students should report to BOCES as usual in the AM. You will be excused from your period 5-8 classes and you will return to North by 10am for early dismissal. PM BOCES students will be excused from attending BOCES on Wednesday. Students who provide their own transportation may report to BOCES in the afternoon to earn makeup credit. Be part of North's Day of Silence on Thurs 4/11. Support or remain silent in solidarity with lesbian, gay, bisexual, transgender & queer or questioning people who are silent out of fear of harassment. Get cards in room 146b or the main, annex or mansion offices. Process the day in room 148b at 2pm. For info, contact Sue Gold/Vera Romanowsky. Don’t miss your chance to come try out for Bard in the Yard, North’s student-run outdoor Shakespeare show! No acting or Shakespeare experience needed! Auditions are on Monday April 8th and Tuesday April 9th after school in room 156. If you have any questions, contact the director, Julia Wilen. The next meeting of GEM, girls exploring math, will be held on Thursday, April 11 after school in room 412. We will be looking at uses, and misuses, of statistics. We will be making standard normal curve ornaments. Attention BOCES students: On Wed, April 10th, all AM BOCES students should report to BOCES as usual in the AM. You will be excused from your period 5-8 classes and you will return to North by 10am for early dismissal PM BOCES students will be excused from attending BOCES on Wednesday. If you wish to provide your own transportation, then you may attend BOCES for make-up credit. Are you a fan of TedTalks? Audition to give your own at North’s Forethought Talks event. This year’s theme is Unrevealed Mysteries. Auditions will be held on April 16th in room 601. For more information please see Mrs. Macias. If your picture was in the Principals’ Showcase, you may now come and and pick it up in the Mansion office. Don’t miss your chance to try out for Bard in the Yard, North’s student-run outdoor Shakespeare show! No acting or Shakespeare experience needed! Auditions are on Monday April 8th and Tuesday April 9th after school in room 156. If you have any questions, contact the director, Julia Wilen. Do you enjoy writing? Have an interest in turning fantasy into reality? Come join Character Co. Club, where you can hone your writing skills and develop fun and imaginative characters. Create your own characters and make new friends along the way! Meet today after school in room 142B. The next meeting of GEM, girls exploring math, will be held on Thursday, April 11th after school in room 412. We will be looking at uses, and misuses, of statistics. We will make standard normal curve ornaments. Don’t miss your chance to come try out for Bard in the Yard, North’s student-run outdoor Shakespeare show! No acting or Shakespeare experience needed! Auditions are on Monday, April 8th and Tuesday, April 9th after school in room 156. If you have any questions, contact the director, Julia Wilen. There will be a mandatory meeting on Thursday, March 28th after school in Room 607 for all boys interested in playing JV or Varsity boys soccer next season. Information will be provided about offseason training activities and tryouts. All are welcome to attend. Attention Seal of Biliteracy Candidates: The meeting for Thursday, March 21 has been rescheduled to Tuesday, March 26. The meeting will be after school in the room 225 (writer's lab). All applicants must attend. The Future Nurse and Health Career Club will be having a guest speaker today at 2PM in the main nurses office. Anyone interested in a career in medicine is welcome to join us for discussion. Audition for Java Jive April 3rd or 4th in room 156! Poets & Musicians wanted! Poets bring a few poems. Musicians bring the whole band. No karaoke please. Must be available for rehearsal April 10th and both shows April 12th and 13th. Sign up in the library for your slot. Japanese visitors from Osaka are leaving North this morning right after period-1, at Main Entrance. If you see them this morning, please give them a warm farewell. Goodbye in Japanese is “ Sayonara”. Many thanks to the Clarkstown students and staff for being wonderful hosts! The last New York State Math League contest of the school year will be held on Thursday, March 21, immediately after school on the 4th floor of the annex. All are welcome to attend. Attention Seal of Biliteracy Applicants: There will be a mandatory meeting for all students who applied for the Seal of Biliteracy after school on Thursday March 21 in room 225 (writer's lab). All applicants must attend. The Geek Culture club will meet on Wednesday March 20th at 2:10 in room 167. All are welcome. "Music and passion were always in fashion at the Copa..." See our spring musical - COPACABANA - March 15th, 16th, 22nd or 23rd. Student tickets just $12. Buy yours in the library or visit cueandcurtain.com. The library will be closed all day Friday for the Pinewood Derby. Access will be limited to smaller numbers of students today in order to set up for the event. Please make other arrangements for study halls and lunch periods. The Clarkstown Police Youth Academy 2019 Spring Class begins on Thursday March 28 at the Clarkstown Police Station at 7PM. Applications can be picked up at PO Benzinger's office Rm 179 or PO Vejnoska's office Rm 406. Applications must be returned by March 15. If your photo was in the Principals showcase for February, you can now come pick it up in the Mansion office.
" Have you ever heard of the theory of Chuck E. Cheese's pizza being reused? Come to Mysteries of the World's next meeting, on Wednesday 3/13 in room 604 at 2:15 to find out!" On Tuesday, March 12th there will be an assembly for all juniors and seniors during periods 2A and 2B. After taking attendance, all juniors and seniors and their teachers must report to the auditorium. Att Jrs JB is Fri 3/29 Tickets for JB will be sold 2/28 through 3/8 in the Main Hallway during pds 4 5 & 6 All students & guests must have a signed permission slip to attend JB No ticket will be sold w/o a signed permission slip. Tickets are $85 Check payments are preferred & made out to CHSN. 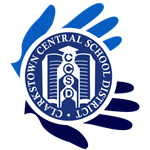 Crew tryouts will be held all week at Clarkstown South, beginning on Monday, March 4 at 3:00 PM. There will be a bus provided from here at 2:30 PM each day. Beginners are welcome to try out! the class of 2022 is selling sweatshirts and sweatpants. Make your purchases on custom ink by March 11th! Contact your class officers Sofia, Grace, Rachel or Ryan for more information. Attention students. Sticky Notes, North's award-winning day of poetry and creative writing, will be held on Friday, April 5! In order to apply to participate, lead a workshop, or emcee the event, please fill out the Google form on the North English website. Applications are due by Friday, March 8.